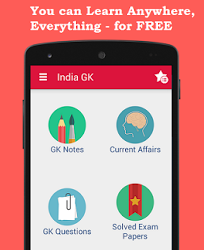 5, 6 September 2016 Current Affairs MCQs, Quiz, Questions: Current Affairs for September 2016, Daily Multiple Choice Questions (MCQs) for India GK, World GK and current affairs with Collection of daily objective type Question by www.Indiagk.net based on General Knowledge (GK) and General Science (GS) Questions for UPSC, State PSC, SSC, Police exam, Railway exam, SBI, Bank PO, IBPC, SSC, LDC, UDC, Army, Airforce, Navy, Coast Guard, Bank Clerk, TET and all entrance examination with current affairs News, Multiple Choice Questions (MCQs) available on Website www.IndiaGK.net and Android Apps with daily updates:. Who of the following has/have been inducted as an Honorary Life Member of the Marylebone Cricket Club (MCC)? Who won the 2016 Italian Grand Prix? Which state government has launched Biju Kanya Ratna Yojana for the development of girls? PM Modi on 5th August said 'One single nation spreading terror' about which country ?